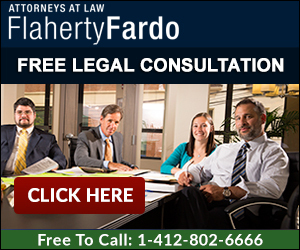 Flaherty Fardo are experienced commercial property tax appeal lawyers. Partners Noah Fardo and Nicole Hauptman Amick have represented some of the largest commercial property owners in Pittsburgh and recently obtained a 10.5 million dollar property assessment reduction. Commercial property taxes in Allegheny County impact both the commercial property owners and their occupying tenants. High commercial property taxes mean less return on investment and higher rental leases to businesses. Commercial property owners pay a substantial portion of the total property taxes paid in Allegheny County. Higher property taxes means higher rents charged to tenants. Higher rents equal greater charges to everyone. We have had helped numerous commercial clients throughout Allegheny County including those in Pine, Hampton, Monroeville, Robinson, Greentree, Edgewood. Pleasant hills, Sharpsburg, Northside, and Downtown Pittsburgh. The best way to win commercial property tax appeals in Allegheny County is to out-research the taxing entities. We have been successful in reducing commercial property taxes because we prepare every single property assessment case for trial. The best settlements are only obtained when the taxing entities know that we are prepared for trial. As a commercial property owner in Allegheny County, you cannot be afraid to litigate property assessment cases. We have access to excellent expert witnesses, and if you cannot obtain a fair settlement, then you need to be prepared to formally try your case. Many commercial assessment appeals often come down to an opinion or battle of the experts. Therefore cross-examination of these experts can often win the entire assessment case. You need to make sure that if you hire legal counsel to reduce or defend your commercial assessment, that they have extensive experience cross-examining experts. We believe our litigation experience is an advantage to our commercial property tax appeal clients. If you would like a free consultation concerning a tax appeal or other real estate issue, please call attorneys Noah Paul Fardo or Nicole Hauptman Amick directly at 412.802.6666 or email them at info@pghfirm.com.